New Delhi : After days of confusion, the Congress party has confirmed that they will not be going in an alliance with the ruling Aam Aadmi Party in Delhi for the upcoming general elections. 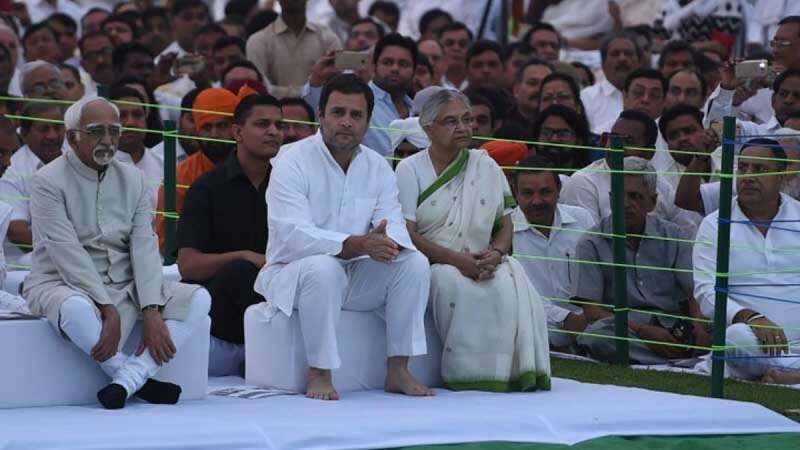 Delhi Congress chief Shiela Dikshit cleared the air on alliance during a press conference in the national capital on Tuesday. On Tuesday, AAP chief Arvind Kejriwal had offered 2 seats to Congress and had also hinted at more allotment of seats on a conditional term. He had asked the Congress to give them all 4 seats AAP had won in Punjab in last election and then more seats can be given to Congress in Delhi.